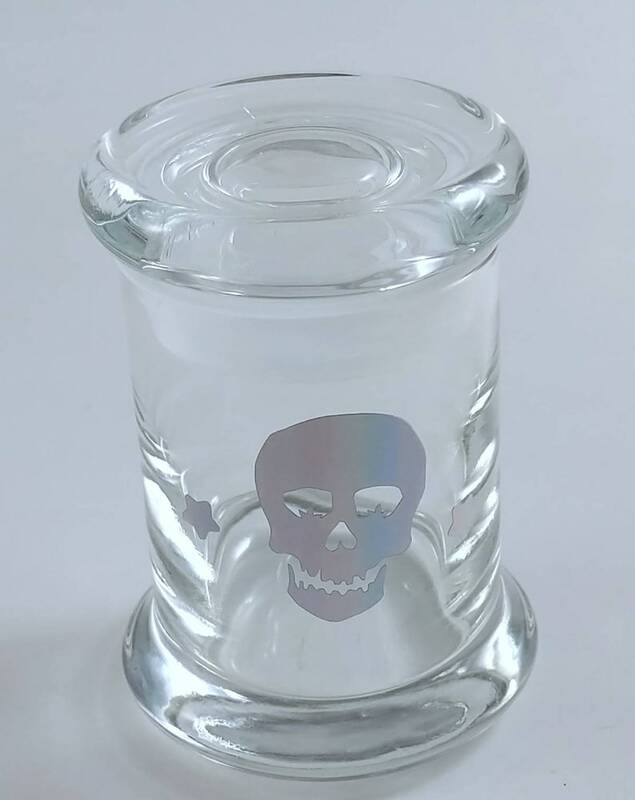 The Jar is 8 oz measuring 3.23 inches x 2.36 inches with a flat glass pressed lid. It fits about 3.5 grams of ground flower medicine. It's a perfect size to hold and display your precious stash. Custom design from Pretty Trippy Shop. Design is commercial grade adhesive vinyl hand placed onto the surface. Tray can be cleaned with 99% alcohol and hot water to bring it back to original luster. Do not use in dishwasher. This jar was first released as a mystery item, with free gifts going to those purchased. Follow my shop as a favorite to catch future mystery items!